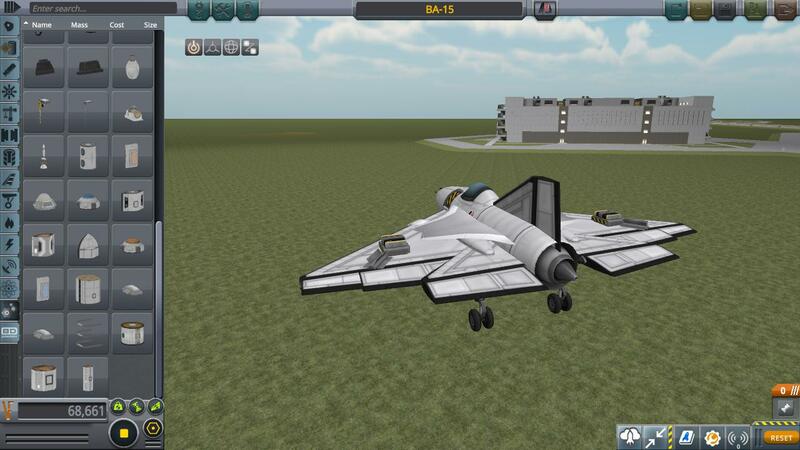 One of the fastest planes i’ve made i guess it’s from the thrust to weight ratio this thing can go mach 1 in just seconds. A stock aircraft called BA-15. Built with 31 of the finest parts, its root part is Mark2Cockpit.